Coral and turquoise semi precious stones necklace by London jewellery designer, Amor Fati. 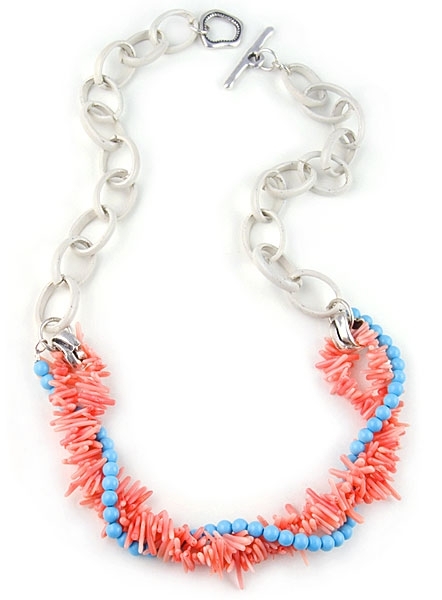 This fabulous designer necklace features pink coral stones, turquoise bead stones and is set on a unique steel chain coated in off-white colour. Necklace measures 58.5cm (23") and fastens with a silver toggle clasp. Available exclusively from Farfallina, this unique necklace is easy to wear all day and would also make a fabulous gift. .